Among the various actions of LIFE Alister, one of the axes for conservation of the species is particularly innovative. This is the research of new opportunities to develop the species and more accurately identify potential areas for introducing the species into urban periphery environments. 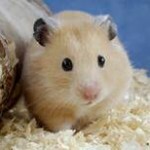 The reason for this is that the European Hamster lives alongside town inhabitants in several countries in Europe, sometimes in the very centre of the town, as in Vienna. This idea was the subject of a study directed by Odile Petit from the CNRS (French National Centre for Scientific Research) and has resulted notably in a guide for urban planners and local communities. One of the reasons for the reduction in European Hamster populations originates in land fragmentation. In the Alsace plains with dense populations, road infrastructures and growing urbanisation, the animals’ territory is reduced and they find it especially difficult to pair up with mates during the breeding season. It is therefore essential that the various hamster populations can be reconnected either by wildlife crossings (road infrastructures), or by the possible use of the urban periphery environment*that would enable a link to be created between agricultural areas, the European Hamster’s natural habitat. 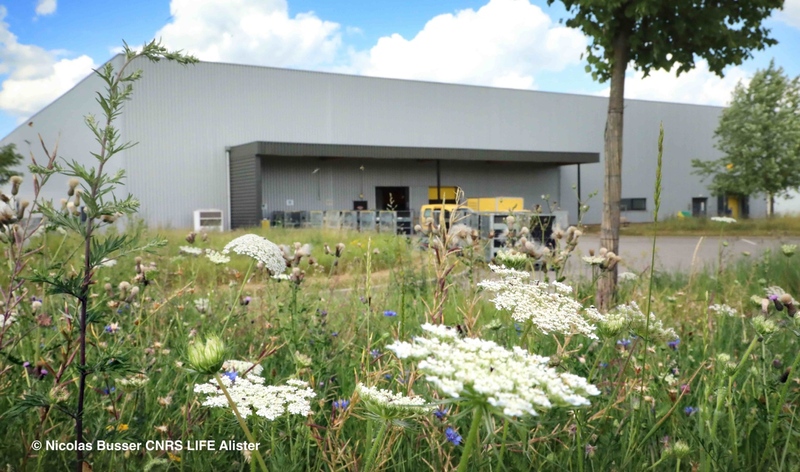 A study led by CNRS from 2016 to 2018 included several phases, in a controlled setting at a breeding centre and then onsite. 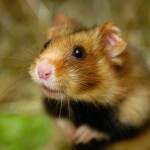 It today leads Odile Petit’s team to believe that urban periphery zones are of interest within the context of an action to reconnect hamster populations and in certain conditions, with regard to current legislation. 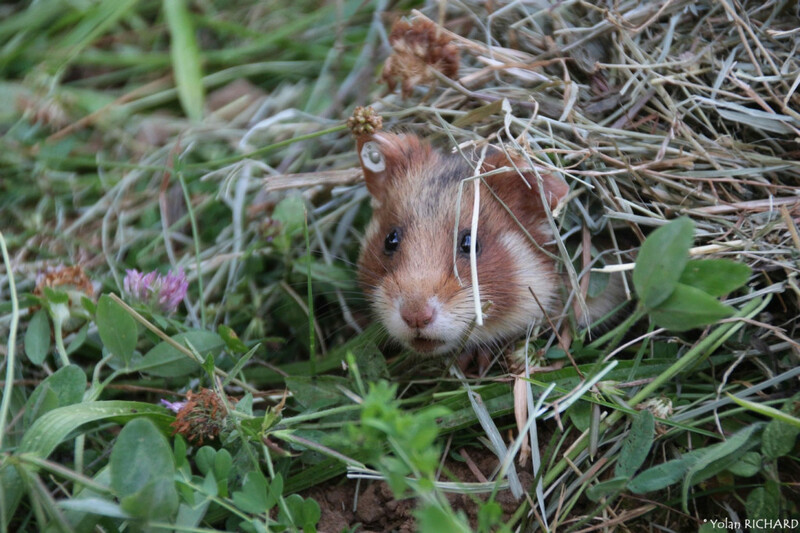 Releasing bred European Hamsters to help increase the wild populations cannot be undertaken without knowing about the animal and observing its needs, as well as the regulations concerning protected species. The European Hamster is a hibernating nocturnal animal that needs to protect itself from predators, find food and build up reserves that are essential during hibernation, so it must be able to benefit from a suitable plant environment and quiet areas. The soil characteristics also seem to be an essential aspect in choosing a burrow location. 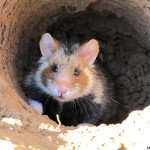 In Alsace, burrows can be found mainly in soils rich in loess, but the study has shown that the hamsters can adapt and dig burrows under a tree where the soil has been aerated by the root system. 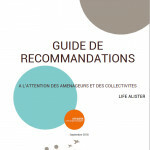 The guide gives a summary of the research that includes the documentary aspects, laboratory experiments (the impact of light pollution on the animals’ health and reproduction), and the release experiments in two sites in Alsace. It ends with very precise action guidance sheets on planning recommendations such as flower meadows, lighting and even water evacuation systems (deadly traps for all kinds of small animals). 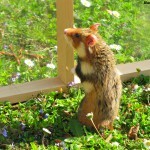 To conclude, is it possible to have European Hamsters in urban periphery areas? This entirely original study shows scientists and managers of environmental issues that different approaches to the topic of ‘nature in towns’ should be explored. It may not be the best way to protect a species as priority should be given to the animal’s conservation within its natural habitat. But species conservation can be undertaken with complementary actions and in this context, it may be advantageous to use the urban periphery environment to reconnect populations where land fragmentation due to urbanisation represents a real problem for survival. Additional studies will be carried out to check the capacity of European Hamsters to reproduce in an urban periphery environment.